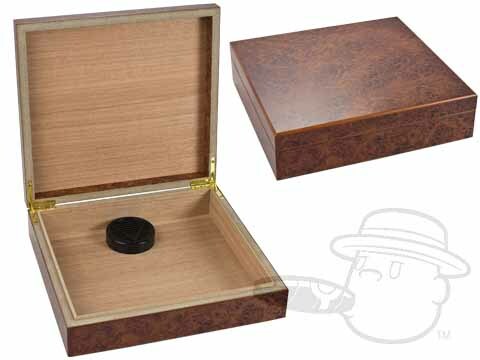 This is a great small humidor for beginners. Great Humidor for the price. nice construction and appearance. I am happy with it! Orleans Burlwood 15 Count Humidor is rated 4.5 out of 5 based on 9 customer ratings. is there a humidifier and/or a hygrometer? On this particular size of the Orleans Burlwood, only a humidifier is included. The larger Orleans Burlwood Humidors do, however, come with both.